This is a musical comedy featuring the legendary Marilyn Monroe and Ethel Merman. The story centers around a husband and wife vaudeville act, known as the Donahues. The couple have their 3 children join them and they are now a bonafide show business family. The parents divide their time between raising their family to sing and dance on stage and be normal duty bond children. The plot revolves around each family member's outside interest of work, other careers and romance. The film features some dazzling show stoppers with some legendary performers, who were larger then life back in the day and still are. 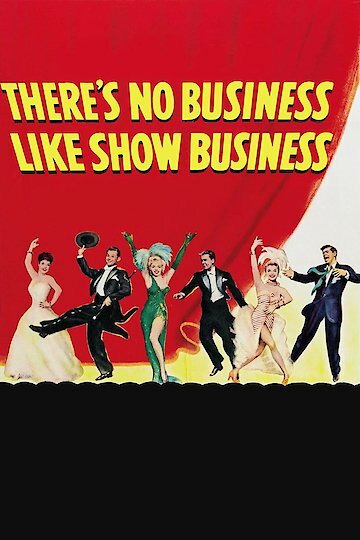 There's No Business Like Show Business is currently available to watch and stream, buy on demand at Amazon, Vudu, Google Play, iTunes, YouTube VOD online.